Join Wiki4Women edit-a-thon at UNESCO Bangkok Office or Online on International Women’s Day!!!!! Wikimedians in Thailand User Group is a user group and a future chapter in the country. We have organised a number of outreach activities (WLM, Wikipedia Zero, Wikipedia workshops) in collaboration with local/international partners including WMF. We believe that the full potential of WMF projects in Thailand has not yet been realised. Therefore, we engage in our offline activities with the aim of increasing participation and impact of WMF projects in the country. We use the name Wikimedians in Thailand User Group for this user group and plan to call our future chapter Wikimedia Thailand. WMTH is an abbreviation used for both names. Promoting and organizing activities related to the Wikimedia projects and their mission inside Thailand. The user group exists since 2008. We have serious discussions and plans on outreach activities after Wikimania 2011. The plan was slowed down by the great flood but we have regained our momentum again in 2013. We have successfully launched WLM-TH 2013 and secured some collaboration/support from various partners. We have applied for recognition as Wikimedia Chapter in January 2019. See detailed information at our timeline. At this stage, all are welcome to put their name here. However, you are expected to be a regular contributor on at least one of the Wikimedia projects in Thai language (or contribute to meta/commons in a way that support or benefit these projects). There is no membership fee or any financial expectation from members. The official language for internal communication of this Chapter is Thai but we report back to the foundation and the rest of the world in English. 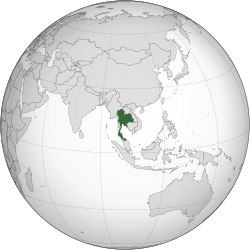 If you have difficulty understanding Thai, you can become our observer instead. To become our member, add your SUL user name with your role at this link. If you are interested about our activities or want to help us, please put your name down here. We will keep you updated. Please specify if you prefer to receive communication in English only. We only cater two languages, Thai and English. hdamm: please count me in - if possible also only in English. This page was last edited on 9 March 2019, at 04:31.